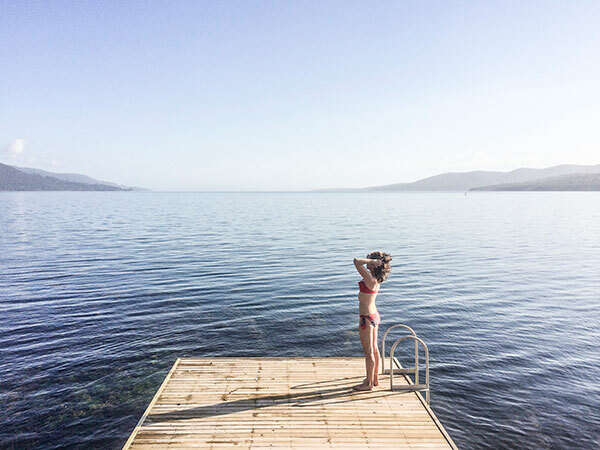 Tasmania harbours a private, secret island of immense beauty. Satellite Island is a place for rediscovery, reconnecting and wonder. Imagine staying on your own private island, surrounded by the natural wilderness of the magnificent D’Entrecasteaux Channel in the south of Tasmania. Unspoilt, the island is a mix of native bush with ancient blue gums towering above sea cliffs, pebble beaches, coves and natural rock pools filled with sea life, waiting to be explored. It’s remote, nature is at her wildest here, yet her moods have been augmented with simple luxuries and effortless modern design which blends into the environment. A pair of sea eagles have long called the island home and can often be seen hunting or roosting in the Island’s magnificent trees. Bert and Henry may also come visit, two stags who come to the back gate of the Summer House for a feed of apples which they’ll eat from the palm of your hand. Staying on your own private island is about enjoying the simple things. 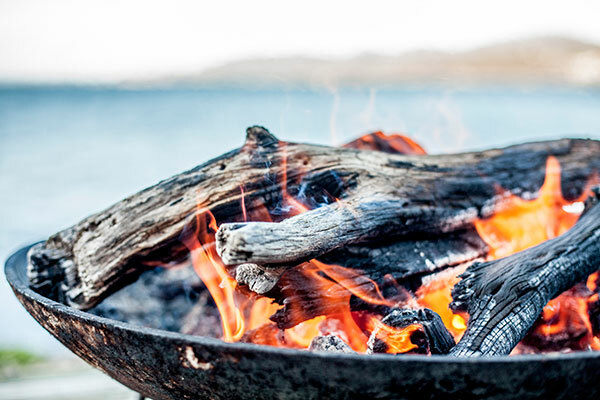 A bonfire to barbecue fresh seafood atop the cliffs. Waking and sinking into a comfortable sun-bed while enjoying some breakfast and looking out at the channel as the sun rises. Shucking wild oysters straight from the sea. Combing for sea treasures among the rock shelf walk or just throwing a line in from the jetty. 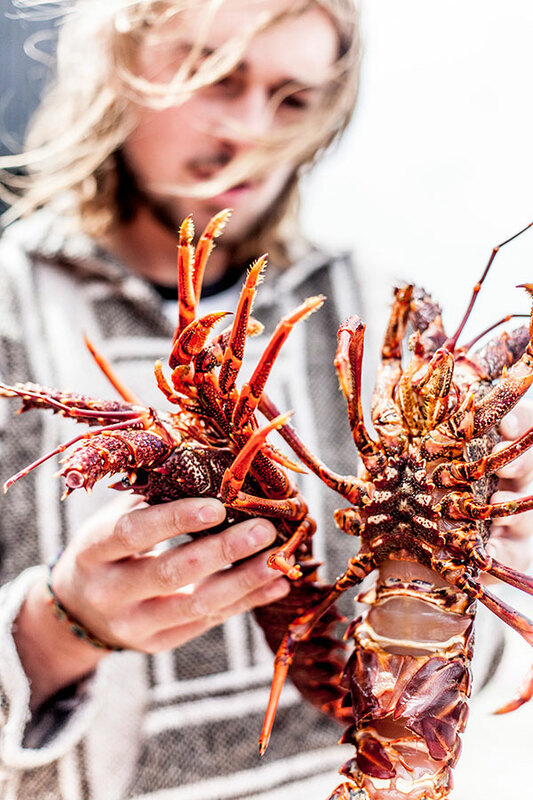 You may be interested in attempting to catch a southern rock lobster, or if you want to take the kayaks for a spin there’s an excellent spot for flathead. Those who are feeling truly outdoorsy may wish to dive for abalone or sea urchin. You can go swimming in the pristine waters, or perhaps lounge on the water’s edge with a book and the sound of the sea. 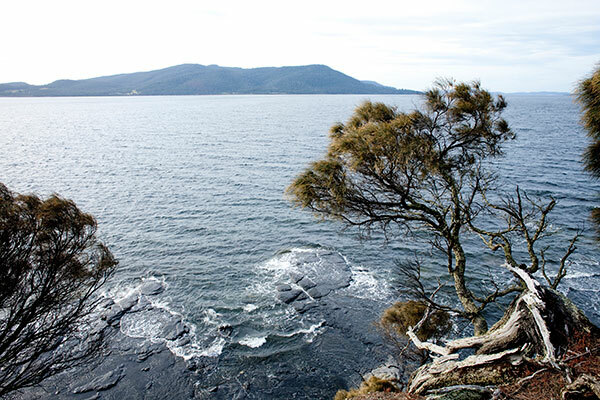 Just a stone’s throw from Satellite Island lies Bruny Island, featuring gourmet produce, a winery and stunning walks, beaches and adventure activities to partake of. Whether you want to do a lot or a little. 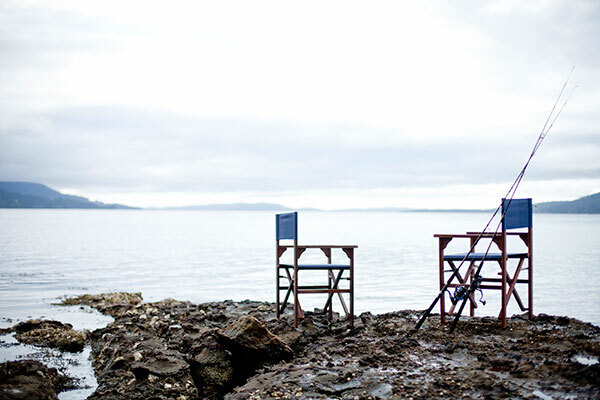 It’s truly a Tasmanian island paradise, combining wild beauty and simple luxury. Satellite Island is exclusively yours when you come to stay. It’s your own private island to explore and enjoy as you please.